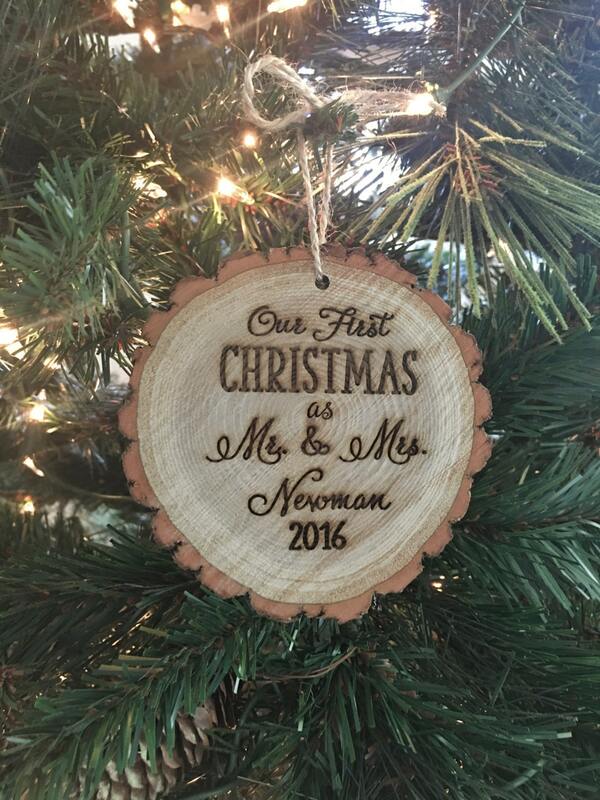 For sale is a beautiful, rustic tree slice ornament -- custom made to order -- engraved with any Mr. & Mrs. or Mr. & Mr. or Mrs. & Mrs. and any last name and year you would like! Such a cute wedding gift, bridal shower gift, or holiday present! This is a natural product - a real tree slice so sizes will vary a bit; however, the tree slice will measure about 3-4.5".